A project could be a number of things: it might be a website, a section of a website, a series of blog posts, an email campaign, or even a book or presentation. 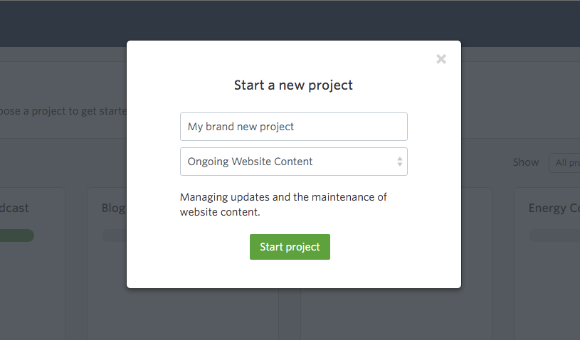 You may also want to break a single project into multiple projects in GatherContent. This will allow you to have a custom workflow for different parts of your project. Depending on your GatherContent plan, you will have a limit to the number of active projects you can create and access. 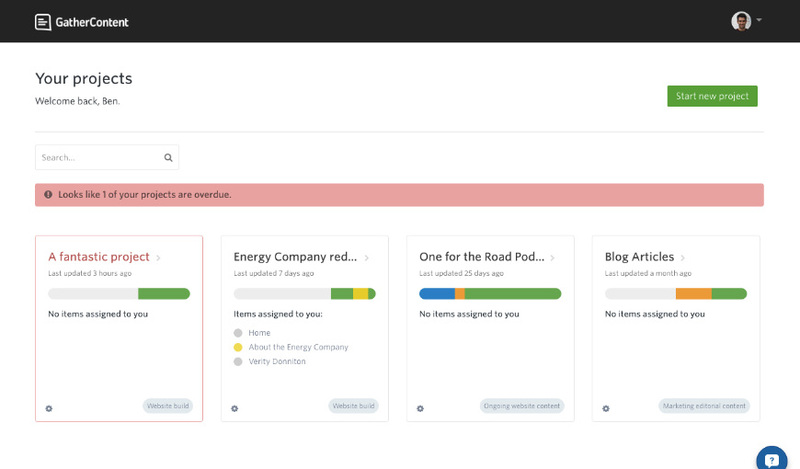 You can view all your active projects in your account by going to your account dashboard. 1. Go to your account Dashboard and click "Start new project"
If you can’t see this button, it will be due to your lack of permissions and you can ask your Account Owner for the necessary permissions. There are short descriptions for all the project types you can choose, which should help you select the most suitable one for your project. The project will then be ready for content to be added to it.